Is copy paste not working on iPhone? That’s bad, because it is one of the handiest features on iOS 10 / 11. It helps you save time by removing the need to retype content. However, a lot of users have recently reported copy paste issue on iPhone and iPad in Apple Support Communities. 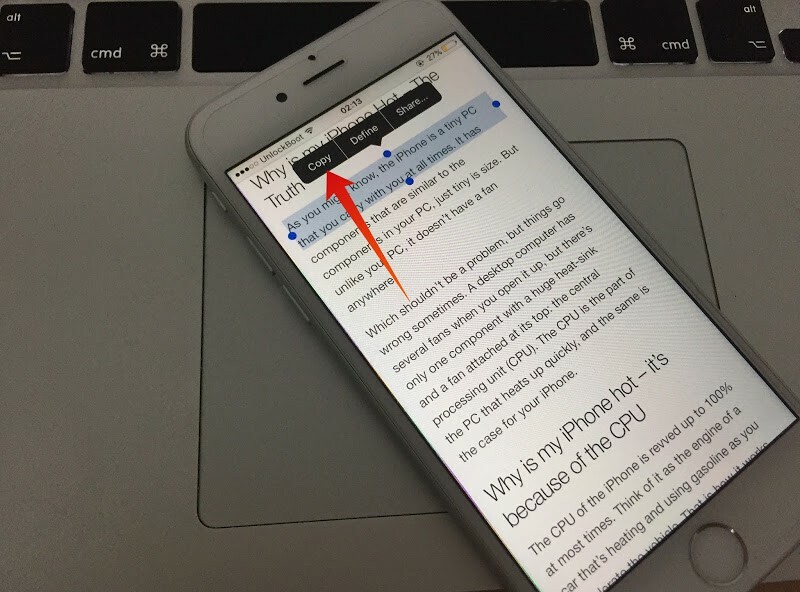 Users have had strange experiences with copy paste not working on iPhone or iPad. Some users saw previous copied content and not the most recent when they used the feature. Also, for some users, when they pasted the text, it displayed the content was copied 24 hours earlier. But the good news is that you can fix copy paste not working on iPhone issue. Just follow these steps. Open the link, text or any type of content to be copied. Long press the content to be copied. A menu will pop up displaying the option to Copy. Tap “Copy”. Now tap somewhere on the display to let go the edit menu. Now long press the content and tap “Copy” one more time. 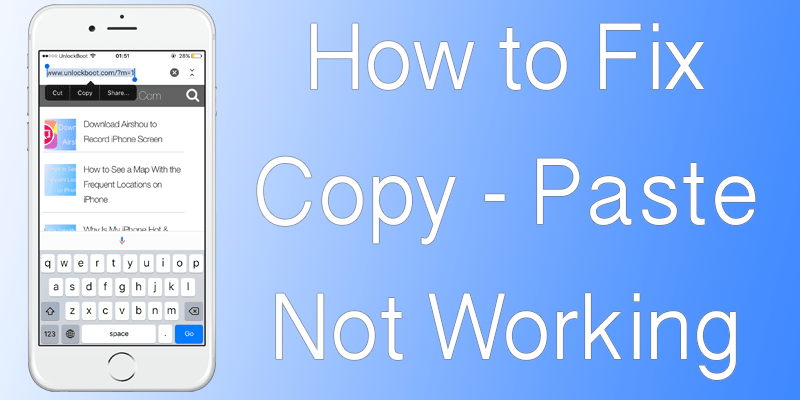 Users have reported that repeating taps on “Copy” solves the copy paste not working on iPhone issue in most instances. However, if you want to copy limited words or text, press any word and drag handles each side to select them. Step 1: Select the content to be shared. 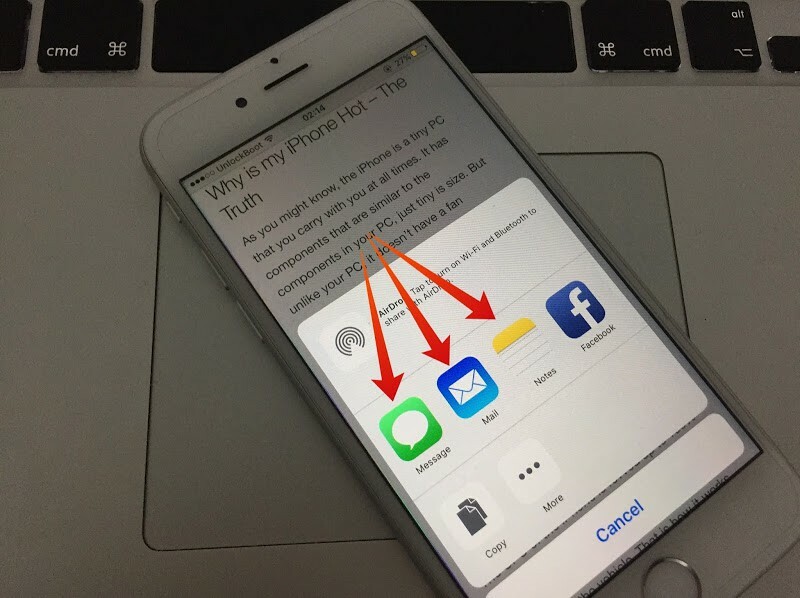 Step 4: Type in a recipient contact name if you select Mail or WhatsApp for sharing. If the issues is not resolved yet, we are recommending you to factory reset your iDevice. To do that, follow our dedicated guide using this link. After you factory reset the device, all software issues will be resolved and the copy paste should works perfectly fine. And that’s it. This is how you fix copy paste not working on iPhone. If you have any other way of solving this issue other than what’s listed in this article, feel free to share it with us, and the UnlockBoot community.